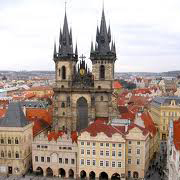 Czech Republic LONG TERM BUSINESS VISA LEADING TO CITIZENSHIP. No IELTS. At least 12 years of education and a business/entrepreneurial background is required. It is a long term business visa for Czech Republic which leads to Citizenship in 5 years’ time. The applicant should be able to communicate in English, has around 5000-7000 Euros in the account to be shown as the maintenance funds and is willing to run a business in CZ Republic. The applicant must show a business background along with a business plan/proposal to prove his intention of running a business in the Czech Republic. The visa will allow the applicant to live and work in any of the EU states with family. He/she can do business in any of the EU states. The dependents can work as full-time employees but the main applicant is permitted to work for his own business only. We will set up a private limited company in the name of the applicant fulfilling all the official requirements/paper-work in the CZ republic. An amount of around 7000GBP would be invested/shown in the business account of the applicant as per the requirement of the CZ Government. We will do this on behalf of the client. We will advise all the documents required to be filed with the application in Pakistan. The applicant will need to arrange the authentic translation from Czech firm, the police character certificate and any medical certificates to be filed with the application. The medical insurance doesn’t cost more than 15000/PKR which would be required upon the approval of the applicant in principal. The applicant signs the contract, pays the first installment for us to establish the private limited company in Czech Republic. The company is set up and the applicant needs to pay the second installment for us to send the documentation of the company registered in Czech Republic and advise the documentation for the visa application. The applicant gets the documents (Bank letter, medical report and the PCC) translated by the authorized translators in Czech Republic (We can provide this service to the applicant upon applicant’s request and payment of the extra cost for this service). The applicant will provide the educational documents, the bank statement of around 5000-7000 Euros, PCC and signs the application form to be filed in the CZ Republic Embassy in their country of residence. The applicant goes through the interview and if successful the application is approved and the applicant pays the last installment of the service fee to get the passport and the document back from our firm. The visa application processing time is around 3-4 months after the application is submitted. The average processing time for the whole process is around 4-6 months for this type of application. Write to us for the latest updates. Copyright ©2011 The Professionals. All rights reserved - Designed by Jovian.